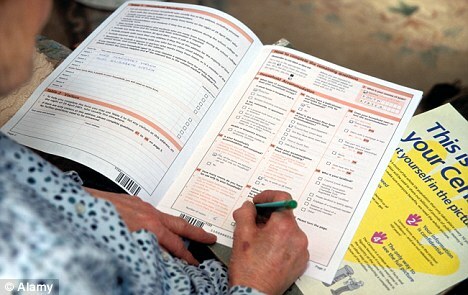 The Great 2011 Census Heist – We Told You So! It all started with this PasteBin Link and I’ll be clear from the outset, it’s all unconfirmed so far. Sky news have been quick to set out the ‘authorized’ line, the usual pre-trial sentencing on the alter of public scrutiny has begun in earnest, article here. It must be said that this 19 year old lad, named as Ryan Cleary has been hurriedly ‘associated’ with a number of recent (and very convenient) high profile cyber-attacks. The usual sheeple will of course fall in line with the standard line of ‘where there’s smoke, there’s fire,’ whether the lad is innocent, or not. I say convenient simply because only a fool would fail to see that this ‘opportunity’ will be seized on to its fullest to bring in a whole heap of regulation and censorship upon the only source of unfiltered information on what’s really happening in the world. Articles aplenty litter the net on the Internet 2, internet ‘driving licenses’ and even just plain preferential bandwidth for those sites that ‘toe the line’ as opposed to those that would question and dare I say possibly object to being force-fed complete shite! So it should not come as a surprise that I’m hardly surprised if this has happened. People allowed themselves to be deluded into believing their private details would be kept confidential, though it never could be and all they had to do was read the clauses within the bloody PRIVACY STATEMENT. 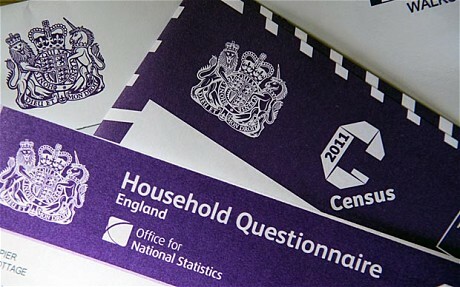 The blog Wasps Nest did excellent posts on this subject last October entitled “2011 Census – who gets your information?” and “2011 Census – the ONS responds” both of which spelled it out quite clearly. Now, to talk of the ‘attack’ itself and what might be coming down the pipe in the very near future. If its legit, not a hoax which is making my gut twitch just thinking about it, and the motifs of these “hackivists” are true, then sure, you may argue that the ends justifies the means. Certainly this seems to be a position favored by a great many on the various social networking sites. Others though, not just vested interests and shills, will flat out denounce this as the work of completely unaccountable nobodies running amok with potentially ulterior motifs and that unknown scares them more than the at least partially accountable (often corrupt) officials in the public offices… They at least are quantifiable, we expect the worst from those parasites, it’s no surprise when they talk out their arse and fail to keep their promises. Morally on the other hand… I’d have to point out that any infringement on anothers personal information is essentially wrong, but for a slight ‘legal’ justification in this case, that being those who actually signed that declaration on the 2011 census gave up property rights on the data submitted to the Crown via its agency the ONS (see below). That signature gave up any legal claim to the information submitted by you upon their forms, not that its un-winnable, there’s always lawsuit for tort for example. Can we say we have been damaged by this fiasco (suffered personal loss) by this loss of privacy? Can we we say that there was an expectation of every measure being taken to protect the data obtained under the threat of reprisal (initiation of force) for non-compliance? Was this a breach of civil duty and trust? All then that is required surely is proving their negligence and Lockheed Martin already had to put their hands up to a failure of RSA security tokens and a subsequent security breach. But the plot thickened immediately as LulzSec disavowed the alleged census hack, as it must, when the indoctrinated masses are well used to these shenanigans, though their 15 minute attention spans help the propagandists craft such a fine dramatic farce to keep them occupied. So what did the LulzSec twitter feed say?… Drum roll please! At every turn now I’m seeing a whole host of people from every class, creed, religion, ideology AND politic persuasions across the entire spectrum, but all with a consensus that is damn near universal. Even the serial conformists are having issues with a great deal of the 2011 fiasco, not just the invasive, irrelevant questions, but the choice of Lockheed Martin as the agent for the ONS. Have we all sunk so low, are we truly become the apathetic wretches who are so cowed, so servile, that we shrink and tug a forelock to those men and women in government? Oh I have seen a few notable exceptions, many, many great articles detailing with this subject, but few personalities were weighing in and then I had to stand corrected… In strode Janet Street Porter with her indomitable flair and typical ‘shoot from the hip’ attitude to brighten my day. How can the simple job of gathering information about the population once every ten years, which started out in 1801 as a single sheet of paper, have morphed into this costly (£480 million and rising) exercise during a period of national financial hardship? If we can’t afford help for carers, child day-care centres, meals on wheels and libraries, how can we bloody well afford this grandiose census? We are told it’s justified because the information allows the Government to plan grants to local authorities and to decide how much money to allocate for future health care. The stuff about our homes helps to formulate future strategy for housing. If we tell them how we get to work, apparently it will help with the planning of transport systems and new roads. And pigs can fly. Every time a new road, bus or rail route is planned, what happens? There’s a fresh consultation exercise. Ditto when it comes to new housing and hospitals — there’s always a need for up-to-date information and research. More questionnaires, more information, more money spent. I’ll leave that article with a thought, a small pondering of mine… Just who has more balls, Janet Street Porter?… Or the traitorous ConDem coalition?… Tough call, isn’t it? This one from Big Brother Watch tickled my fancy for sure. Who will be prosecuted, and under what circumstances? Of the 1.5 million families that, in whatever manner, refused to participate in the 2001 census, only 38 were successfully prosecuted, and given the lack of understanding in any number of legal ‘tricks’ to gain jurisdiction, it is a wonder to me, that there wasn’t more… Only one ended up in a prison sentence, and that was a well publicised case where a particularly obstinate man was done for contempt of court for refusing to pay the fine. The details of the criteria used can be found here. So will the government actually fine them, or will they be seen to be selectively prosecuting individuals which must invariably appear politically motivated? Something to think on if you really must fill it in, deface it or whatever, please, please, consider rubbing a white candle over the ‘official use’ boxes, make these bureaucrats work for their shekels. If ‘we’ are paying so much for it, is it so much to ask that we get value for our tax-thefts?